A new difficulty setting called Infernal is coming to Relic Dungeons. Infernal will test players like never before, but great rewards await those who are up to the challenge. Conquering this new difficulty will unlock a number of benefits for your team. Ancient Will is a new passive skill that grants your main character a great increase in the Persistence stat during combat. To unlock Ancient Will, players will have to complete any Relic Dungeon on the new Infernal difficulty. Once the skill has been unlocked, Ancient Will always be active on your main character regardless of which Relic and Relic skill is equipped. Ancient Will can be upgraded to increase its effect with special materials found in Relic Dungeons on Infernal difficulty. In addition, beating each Relic Dungeon on Infernal will also unlock a passive skill for that Relic. 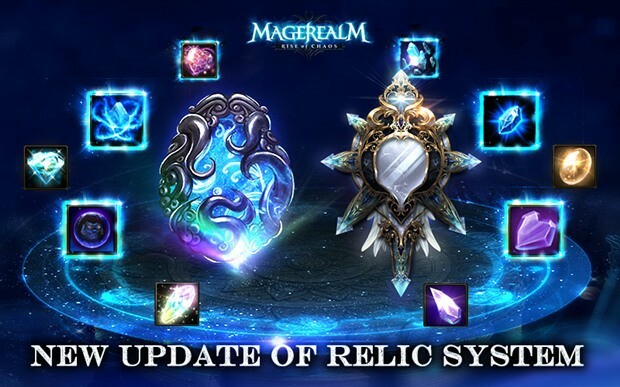 Each passive will increase the stat bonuses of the related Relic by a certain percentage, and there are 7 in total to unlock. Take on the new Infernal difficulty and reap great rewards! Unlock new skills and boost your team to new heights.